If you're seeking unusual character education programs that complement your own teaching, you're at the right place. For a regular dose of inspiration that empowers your kids, sign up for KidPower Alerts, my free ezine that reinforces what you'll discover here. The character education lessons and plans here offer ideas and exercises that plant seeds for lifelong success of the heart. What do you want your kids to gain from character education? live with your cherished values. Can a designer of character education lesson plans meet all your needs in one program? Is it possible? Highly unlikely, next to impossible. A good character program that shows kids how to establish core character traits for all other traits might come close. dote on your grandkids someday. Share one character education lesson plan that helps your kids learn about the importance of friendship. The world witnessed unusual character education programs in action on Nov. 4, 2008, when the US citizens elected the first-ever Afro-American as President of the United States of America. People put aside enough past prejudices to elect an Afro-American. That is historic. All racism and prejudice hasn't disappeared. However, it sends a message to the world that anything is still possible in the US. Americans are about to change our values even more. I know you're concerned about how fearful a nation we've become and how this affects your kids. Are you afraid that they'll have bigger challenges and more struggles than you've had? There's an old saying that God never gives us more than we can handle. Never before in our history have character education programs been so needed for our citizens. We must regain our national self respect and dignity and again become an honorable, trust worthy nation, one that is truly interested in the welfare of all. For background material before we begin these character education programs, make sure you're familiar with "What is character education?" "You did check that link out to remind yourself about the definition of character education, now, didn't you?" Remember, action is required, not mere thinking in these character education programs. Writing and discussion are part of these character education programs. I am sharing with you what I consider the three most extraordinary character traits everyone needs for success in life, however you define success. 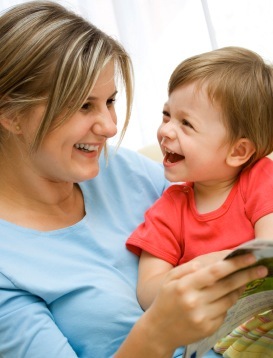 Vision: Deepen children's understanding of friendship, i.e., how to make and keep friends. Friendships lay the foundation for work, marriage, community involvement, relationship with self. Even if you live alone deep in the woods, every aspect of your life deals with friendships. (You better be darn good friends with yourself, if you do live there). Few people can live alone, by themselves, and remain satisfied with life. How many people really want to live alone? People often live alone in the midst of millions of neighbors, because they haven't mastered the art and science of friendships. are often sad, sometimes miserable, unable to share in the small joys and big events that come from deep friendships. won't marry (or if you do, it won't last), raise children, even stay gainfully employed. have no one to share your heart with. have no one to support and give you comfort when life presents its unasked for, unanticipated, unwanted gifts that arrive on your doorstep daily. Friends anchor you to love. So, how do you make and keep friends? First and foremost, you learn to be a good friend to yourself. You become a good friend to yourself when you learn to love and accept yourself just the way you are this moment. Young kids have no problem with this; however, as they age, and peer pressures kick in, they forget what unique, beautiful child of God they are. Whenever you're talking with someone, including yourself, pay attention to the words being said. If you find yourself replying to their words while their still talking, you're not listening. Have them repeat what they were saying. State back to them what they've said, so they know you've been listening. Care for the other person. Help your friend as needed by doing things or listening to her. Go out of your way to extend a helping hand to your friend. do things for your friend. Take an active interest in her life. Ask questions about what she's interested in. Get her talking and listen closely to her interests. Do things together about what she's interested in as well as what you're interested in. Are considerate, understanding, forgiving, accepting. Look out for your friend and cover her back. Be loyal. Stand up for your friend. Don't let others criticize her. Feel a sense of gratitude for your friend and you show it. Thank her for her friendship. Do something for her that makes her feel special, i.e., make your own birthday card for her and include her picture in it, with words of gratitude you've written. Share with others how grateful you are for having such a kind, considerate, caring friend! That covers the basics of friendship, let's begin the action part of these character education programs. Week 1: Have your child imagine you, mom, just won the US Presidential election (yahoo, now we run this country the way it really should be run), you're the first female President ever, and it's time to move from Missouri to Washington, DC to live in the White House. Your child's both excited and sad about the new move. She has to say goodbye to her old friends and make new friends. It's a big transition, but of course, she'll do fine (with your guidance). Here are additional character education resources for character education activities and character education. I've created an extraordinary character education program about Friendship. The book is the story of how 2 trains learn the true meaning of friendship. It involves some of the most important character traits your kids need to live successfully, i.e.,accepting, forgiving and love. 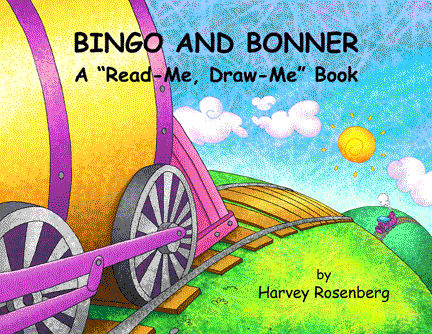 Bingo and Bonner, A Read-Me, Draw-Me Book allows kids 6-9 to create their own drawings based on their understanding of the friendship story. Here are sample pages from Bingo and Bonner. The Friendship Unit Study has 15 activities, exercises and games to solidify kid's understanding of friendship. Here are Friendship Unit Study Sample Pages. The information and art found on Character Education Programs is the property of Childrens Educational Books.